Rain was the only thing that could stop the Badgers’ bats this weekend in Houston. 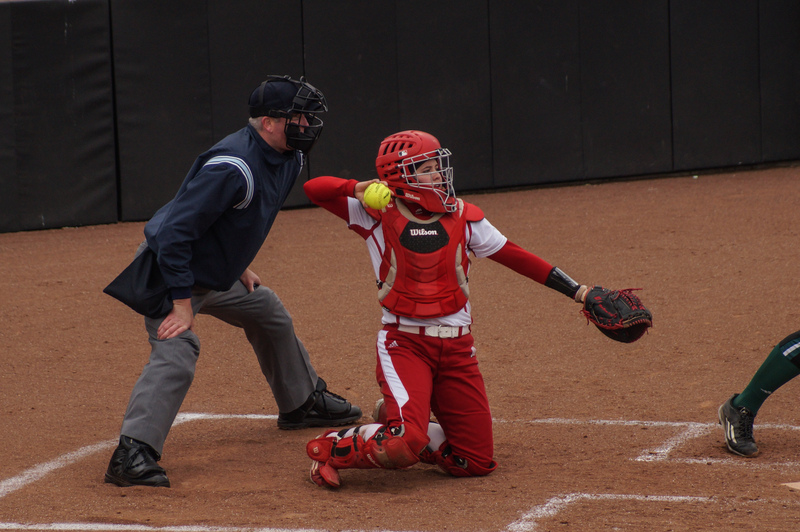 The University of Wisconsin softball team won all three games during the Houston Hilton Plaza Classic, but weather conditions would not let them complete the series. Saturday’s game was called in the fifth inning due to rain, and Sunday’s game was canceled. 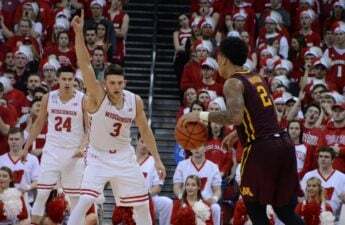 Despite the poor weather, Wisconsin (15-2) got the better of all three teams they faced this weekend. Though they trailed University of Louisiana at Monroe (12-7) 2-1 in the top of the sixth, they were able to put together a string of hits in the bottom half of the inning to score 4 runs. Wisconsin held onto the 3 run lead to win 5-2 in the end. Freshman Kaitlyn Menz pitched a full seven innings and surrendered only 2 runs on seven hits. She earned her eighth win of the year. The Badgers kept their winning ways going into the afternoon game against Sam Houston State University (8-11). The Badgers’ bats unleashed 14 runs on 16 hits in a 14-3 rout of the Bearkats. Sophomore first baseman Stephanie Lombardo had three hits and four RBIs, including a home run. Junior shortstop Brooke Wyderski also led the Badgers with four RBIs and 3 runs. The 14 runs tied for third-most runs in program history. Wisconsin’s bats did not slow down Saturday. The Badgers hit for 16 more runs against Princeton University (1-3). Sophomore catcher Melanie Cross had 7 runs batted in as they crushed the Tigers 16-2. Wisconsin’s 8 runs in the third inning tied a program record for most runs in an inning. Senior Kristen Stevens pitched all five innings for the Badgers, striking out two batters and earning her sixth win on the year. Cross hit a grand slam in the third inning and followed with a 2 run shot in the fifth. It was a career day for the catcher, who had been struggling at the plate so far this year. 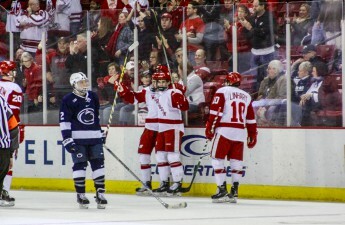 Cross was not the only Badger who had a big day offensively. Junior right fielder Samantha Arents also put together three great at-bats. She scored 2 runs and drove in 2 runs, while leading the Badgers with three hits. The Badgers improved to 15-2, which is their best start in program history. They will head to Fort Collins this weekend for the Colorado State Classic. 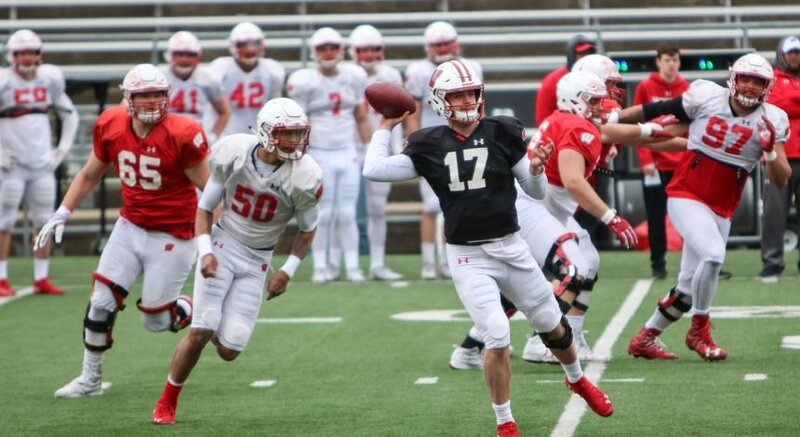 Wisconsin looks to continue its hot streak when they take on the Maine Black Bears and Colorado State Rams.